Unique Island Chic brand "Kai Collection" handbags are sure to make a statement. 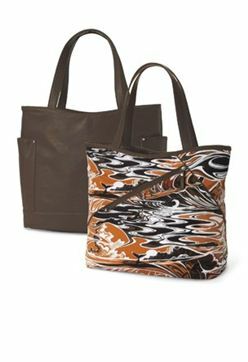 Styles range from roomy-enough-for-the-beach totes to quick-trip-to-the-pier options. Ocean-inspired prints in shades from neutral to Oo-la-la! This design is fully reversible to provide fashion options.